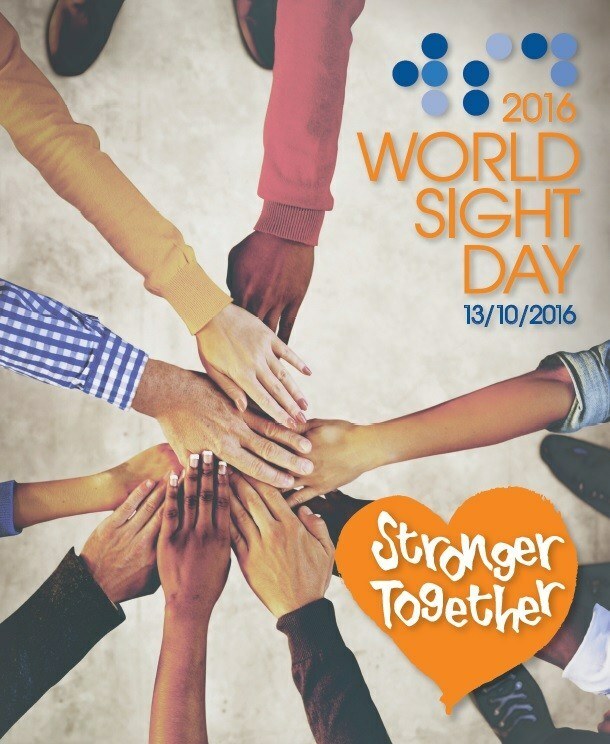 What do we celebrate on World Sight Day? World Sight Day is a day devoted to raise awareness and focus global attention on blindness, visual impairment and rehabilitation of people suffering one of these problems. World Sight Day is observed annually on the second Thursday in October, and it is the main promotional event for blindness prevention of Vision 2020 initiative. What is Vision 2020 initiative? The International Agency for the Prevention of Blindness (IAPB) is an umbrella organization that coordinates an international effort aiming to mobilise resources for blindness prevention activities. In 1999, the agency signed alongside another 20 international non-governmental organizations a collaboration agreement with World Health Organization to promote the global initiative VISION 2020: The Right to Sight. What are the main causes of preventable and/or treatable blindness? Refraction errors, especially non-corrected myopia, that cause a significant low vision in developing countries. What are the main goals of Vision 2020: the right to sight? Raise awareness on the causes of avoidable blindness and solutions that may help eliminate the problem. Identify and warrant the necessary resources around the world to provide more prevention and treatment programmes. Facilitate the planning, development and execution of the main three Vision 2020 strategies by means of national programmes. What are the core strategies of VISION 2020 for blindness prevention? Disease control: facilitate the implementation of specific programmes to control and treat the main blindness causes. Human resources development: provide support to train ophthalmologists and other ophthalmology professionals so as they can provide health assistance. Develop necessary infrastructures and technology: provide assistance to improve infrastructures and technology in order to make eye care more accessible. What are the organizations signing the Vision 2020 agreement? What can I do to adhere to Vision 2020 initiative? Ramon Martí i Bonet Foundation. Vision 2020. On a personal level, you can collaborate with support and action members of the initiative, as well as collaborate with other entities working at a local and international level to improve eye health of people with no economic resources in order to prevent avoidable blindness cases. Donations can also be made or you can volunteer supporting and providing the necessary tools to those who fight every day to grant everybody the right to sight. 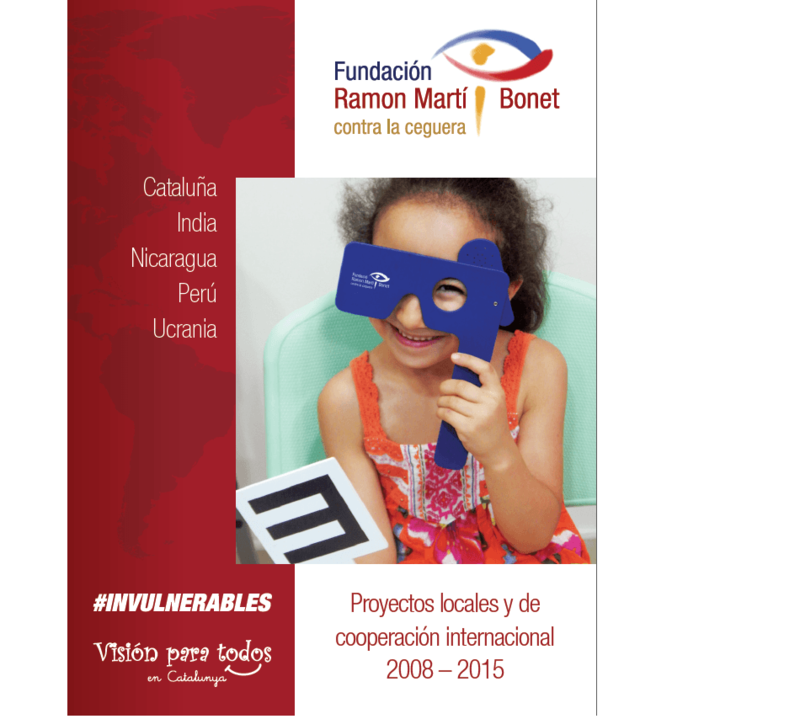 Ramon Martí i Bonet Foundation carries out this task by means of its Vision for everybody in Catalonia project and through its international ongoing projects in India, Nicaragua, Peru and Ukraine.